If this is going to be a year of upsets, the rules for when Robertson County listings are best initiated might be primed to fly out the window. There’s no guarantee that 2017’s Robertson County listing performance will bend the rules, but if the National Association of Realtor’s® news site is right, it’s a definite possibility. 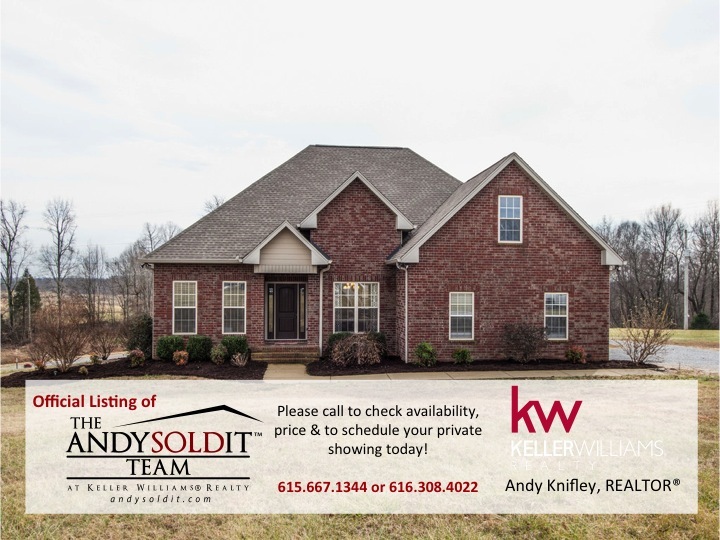 The history has long demonstrated that the most opportune time of year to add your home to the Robertson County listings is during the peak spring and summer seasons. When you look at the volume of home sales through most years, those months do look inviting. There are exceptions, but for the most part, spring and summer regularly excel in sales volume. 2.Demand. Even though the late fall and winter months have traditionally shown weak demand, the threat of mortgage rate hikes—then the actual rises—may have been all that was needed to instill a growing sense of urgency among buyers. Early results reflect buyer demand that’s “abnormally strong” for this time of year. 4.Sellers Will be Buyers. Overwhelmingly, national surveys suggest that the homeowners behind most Robertson County listings will also become buyers once they have sold. In fact, an estimated 85% of American home sellers plan to buy another home! If that’s correct, it’s not surprising that they’ll be grateful if they are quick to sell into this winter’s market. That will not only help them get a jump on the crowd come springtime—it will also lengthen the odds that they can cash in on mortgage rates before they rise substantially. All of a sudden, the net advantage to listing early could be substantial! The short takeaway is that simply accepting the old common wisdom warrants a second look in 2017. If you are one of our Robertson County homeowners who automatically presumed the wisdom of waiting a while longer to join the Robertson County listings, it might pay to reassess. Give me a call if you’d like to discuss how your plans fit into today’s broader residential picture—and how to take maximum advantage of this year’s market!